My taste in beer has changed dramatically over the past few years. The girl who used to crack open a bottle of Coors Light has been replaced by a woman who enjoys sampling all different kinds of beers, ales, IPas and Pils. A few weeks ago when the opportunity to try out some beers from UK importer Morgenrot arose, I was only too happy to get involved. And what better excuse to crack open a few cheeky beers than at a BBQ we were holding. Since early on this year Ryan has been really involved in lighting up the BBQ and trying out all sorts of different recipes for pulled belly pork, ribs, burnt ends and more. He is an awesome pitmaster, and knowing that we would have a selection of beers to pair with his latest offering really was the cherry on top of the (very delicious looking) cake. 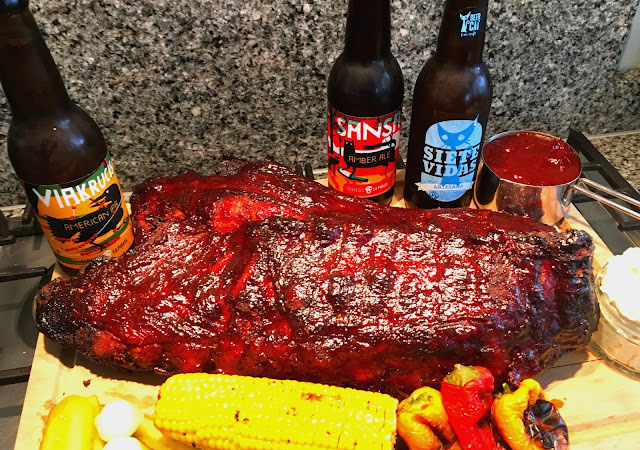 For me beers and BBQ food go hand in hand, so instead of writing just a straight up review, in celebration of the summer we have (kind if) had I'll be - with Ryan's guidance - recommending meats that have worked or would work well with each beer too. I went into this beer tasting deliberately not knowing anything about any one of them. I very much consider myself the voice of the every man when it comes to trying food or drink. I am not an expert. I don't know all the fancy terminology. I like to think I write the way most people think. Simple. Straight forward. Honest. 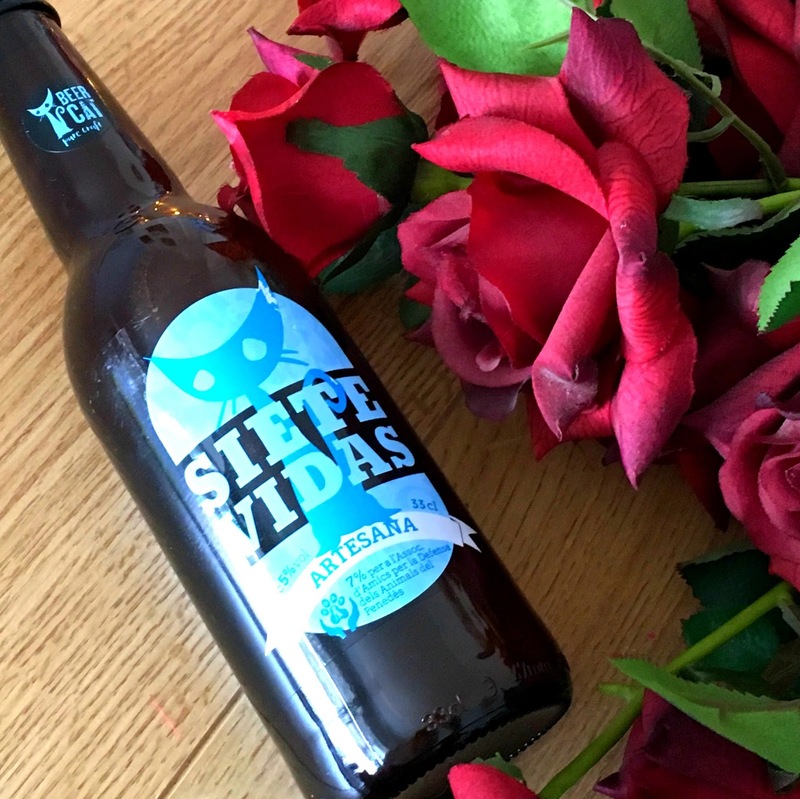 So please believe me when I tell you that I completely fell in love with the two beers I received from Cerveses La Pirata. They were absolutely beautiful. Both with a really rich and interesting flavour without being too intense and overpowering for my palette. They also paired really well with the ribs that Ryan cooked. I tried the American IPA first and as soon as I had the first sip I knew I had to find out how I could get my hands on more. The flavour sung to all the senses and was the perfect blend of mellow citrus notes and well-bodied undertones. The Amber Ale had a slightly more full-bodied flavour, but still went down a treat and was not too overwhelming. It complemented the meat really well with subtle hits of sweetness blending with the rub on the ribs and pulled pork and the tang of the accompanying sides. This one was slightly more malty and for my former self might have been too much. But for me, this was perfect. If I had to settle for a favourite it would be the IPA that took the edge, although the Amber cut a ridiculously close 2nd place. To be frank I wasn't the biggest fan of the Siete Vidas from Beercat. The hints of coriander in the beer were somewhat reminiscent of Blue Moon, which has always had too intense a flavour for me. After a few sips it all became a bit too much and I had to move on. However Ryan enjoyed this one. This one didn't make an appearance at our BBQ but the cilantro would have worked well with the richness of the belly pork and balanced out the flavours, cutting through nicely and cleansing the palette. 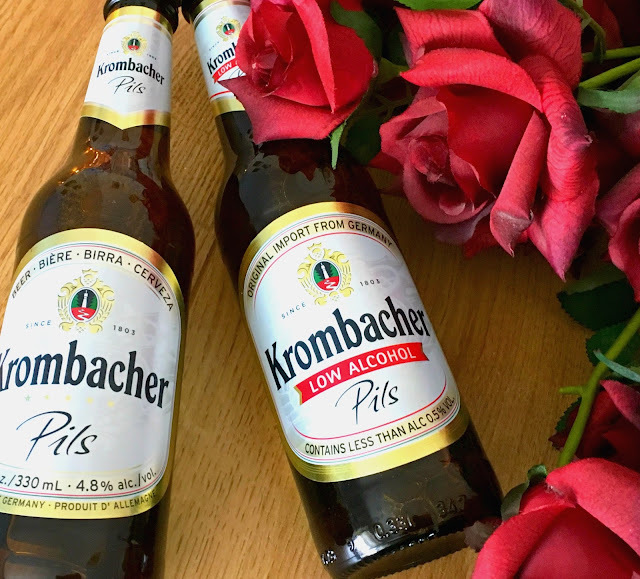 I only wish I had known about Krombacher when I was pregnant. Both the Pils and the low-alcohol version were brewed so well that the flavour differences between the two were practically indistinguishable. These beers were unpretentious, light, crisp and a much more grown up version of the beers I used to drink. 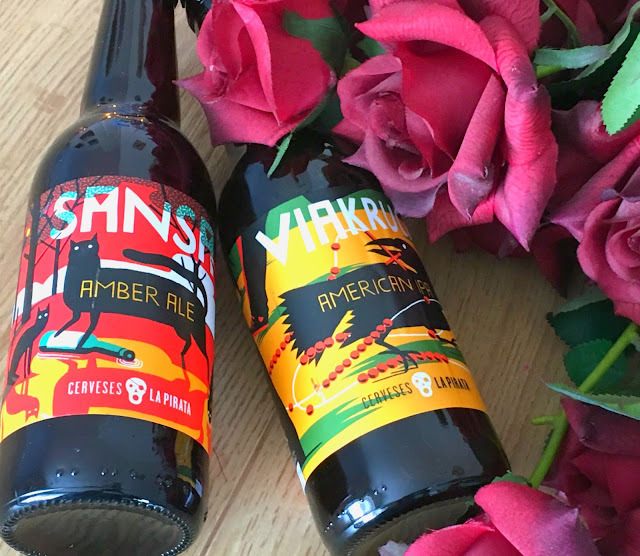 With a perfect balance of flavour that would make them ideal to crack open on a warm summer's day and sip with your more traditional BBQ food. For those who enjoy a cheeky tipple but are turned off by too intense a flavour, these are great. And for those out there who are expecting and have had to forgo their beer appreciation, if you get your hands on the low alcohol Pils for a once-in-a-while treat, you will not be disappointed at all. 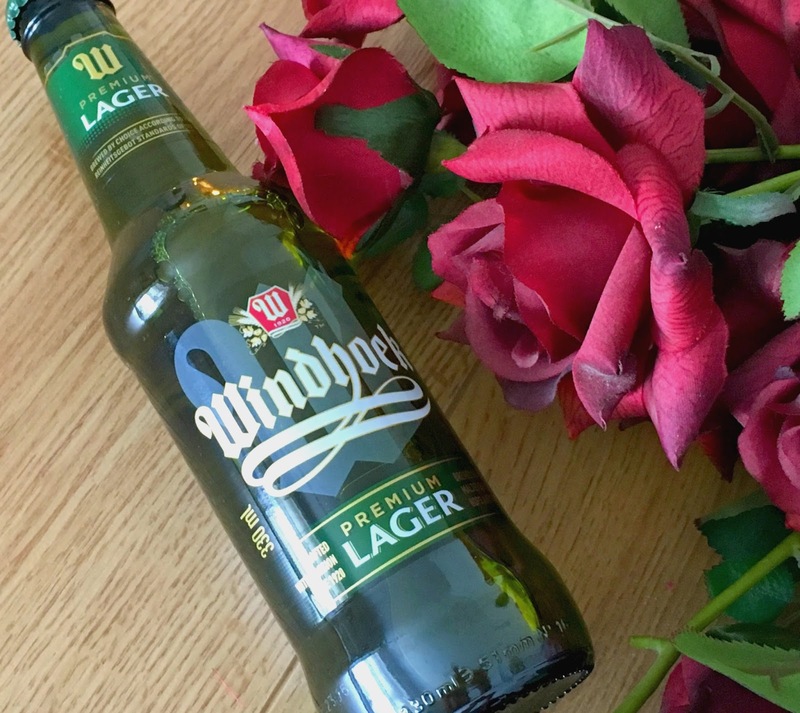 Just like the Krombacher, this lager from Windhoek was light, crisp, straight-forward and grown up. Ever just a touch more bitter than most lagers I have tried, this would have made a good choice at one of our BBQs where either more simplistic or complex flavours were on offer. However was it clearly distinguishable or memorable from the other beers I got to sample? No, not really. It wasn't stand-out to me, but maybe that it because I've worked so long on moulding my palette so am instinctively in search of something with a bit more individuality. I'm so grateful to Hungry Communications for the opportunity to try out these beers. Everybody's tastes are different so naturally there were some that stood out more to me than others. 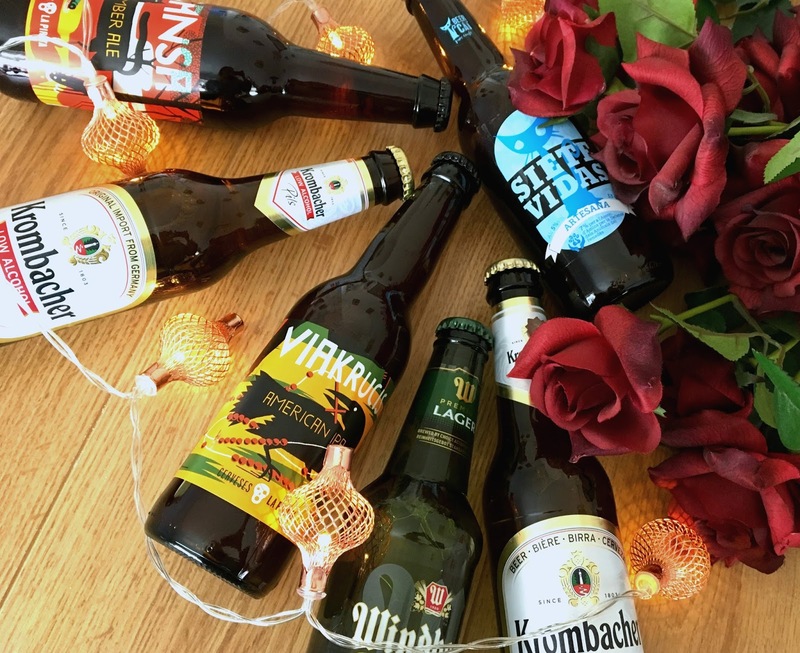 However if you are planning a BBQ or a big beer fan I suggest giving any of these a try. You might just find yourself a new favourite. * I was very kindly sent all these beers by Hungry Communications for review consideration, for which I a very grateful. This however does not influence my opinions. 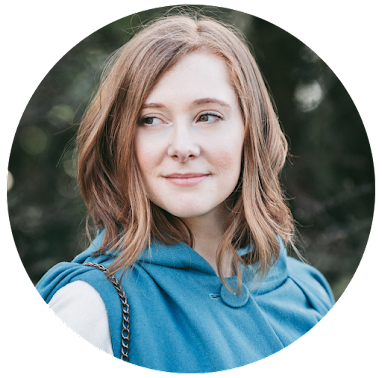 They are 100% honest and guided by my own personal experience of products. Please drink responsibly and only if you are above the legal age to do so!